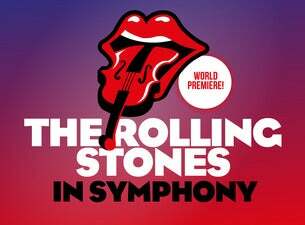 After the success of Metallica in Symphony in 2017, European Philharmonia returns with a just as daring new project: The Rolling Stones in Symphony! The Rolling Stones are living legends. Their current tour still does not mention a Belgian date, but luckily, there is the music and this new project of Italian composer Roberto Molinelli and Belgian conductor Walter Proost, who previously worked together with some of the greatest musical stars in world, such as Plácido Domingo, Hans Zimmer and Barbara Hendricks. Together with guitarist Eric Melaerts, they created The Rolling Stones in Symphony, which premieres in cc Het Bolwerk on May 24th 2018. As always, Molinelli combines the greatest hits with a few (almost) forgotten jewels. On the setlist we see Sympathy for the Devil, Start Me Up, Ruby Tuesday and Angie>. But also songs like Miss You and Wild Horses, that might otherwise be forgotten, get a spot.